The Georgian side welcomes participation of Azerbaijan’s state oil company SOCAR in the energy sector of the country. In particular, on the basis of the memorandum signed with the Georgian government and the mutually beneficial agreements concluded with the Georgian Oil and Gas Corporation, SOCAR ensures guaranteed, continuous and reliable gas supply to the social sector – households and power generation facilities, which is a factor significantly contributing to increasing the energy security of the country. With SOCAR and Shah Deniz field (and South Caucasus Pipeline), Azerbaijan almost fully satisfies total gas consumption of Georgia. Current possible daily volume of gas supply is about 11.2 million cubic meters from these two sources, which is expected to get some increase for the fourth quarter of 2017. The planned Underground Gas Storage (UGS) is first of all considered as a strategic infrastructure, supporting improvement of energy security of Georgia and providing guaranteed supply of consumers with natural gas in any possible critical situation. The UGS volume shall also be allocated to commercial purposes if considered that withdrawal patterns respect strategic storage needs. A detailed feasibility study for the evaluation of the establishment of the UGS at Samgori South Dome depleted field was performed by Geostock in 2015-2016 following a call for tender launched by GOGC in January 2015 (Phase 1). The conducted feasibility study confirms technical possibility to construct underground gas storage and also provides terms for its commercial appropriateness. With current approved schedule and strategy, in order to achieve an operational injection start-up of the underground storage in 2021, the construction tender procedure needs to be launched in following few months. 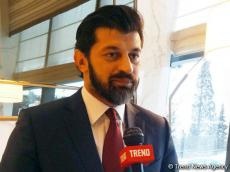 Georgian side is ready for considerations and cooperation with SOCAR in frame of the project. The issue of privatization of Georgian Oil and Gas Corporation JSC was in consideration earlier, however no specific decisions have been made. As well as, no particular possible interest of Azerbaijan’s state oil company SOCAR was discussed within the context. Transit projects add great value to the country’s political significance and energy security of the region. Georgia continues to actively support the development of different projects enabling an alternative transportation corridor for the Western markets, such as AGRI and the projects within the Trans-Caspian transport route. Georgia is a participant of AGRI project. Georgian Oil and Gas Corporation JSC is assigned as a shareholder of AGRI LNG Project Company, which is a special purpose vehicle incorporated by the project participants. In April 2015, shareholders of AGRI LNG Project Company approved the AGRI project feasibility study prepared by UK-based Penspen LTD. It is planned to start preparation to apply for PCI (projects of common interest) status. As it was mentioned, transit projects are important for the country and the region. Georgia is a crucial transit country for the Caspian oil and gas resources to reach the EU market and is very much interested in larger transit volumes for strategic and security purposes as well as for a long-term economic development. Therefore, we especially welcome the development of plans of Azerbaijan and Kazakhstan, as well as Turkmenistan in connection with the Trans-Caspian International Transport Route’s implementation, which may ensure creation of an additional oil and gas resource base from Central Asia for the Southern Gas Corridor projects.